简介: As the baby boomer generation ages, the impacts of alcohol and drug use among this generation will become an increasingly important public health issue. This 5-week course will provide primary care givers and health care providers with an overview of this looming issue and provide strategies for the prevention and reduction of substance use associated harm. 简介: We will learn computational methods -- algorithms and data structures -- for analyzing DNA sequencing data. We will learn a little about DNA, genomics, and how DNA sequencing is used. We will use Python to implement key algorithms and data structures and to analyze real genomes and DNA sequencing datasets. 简介: Explore how food intersects with public health and the environment as it moves from field to plate. 简介: Learn to use tools from the Bioconductor project to perform analysis of genomic data. This is the fifth course in the Genomic Big Data Specialization from Johns Hopkins University. 简介: What makes bioinformatics education exciting is that people of a variety of education levels can get started quickly, with just a computer and internet access. 简介: This is a state-of-the-art course designed to accommodate the learning needs of health professionals related to dementia care. Emphasis will be placed on exploring innovations in care through an ecological model of dementia-care throughout the trajectory of the disorder. 简介: Learn to frame and address health-related questions using modern biostatistics ideas and methods. 简介: This course covers chemicals in our environment and in our bodies and how they impact our health. It addresses policies and practices related to chemicals, particularly related to how they get into our bodies (exposures), what they do when they get there (toxicology), how we measure them (biomonitoring) and their impact on our health. 简介: Introduces to the commands that you need to manage and analyze directories, files, and large sets of genomic data. This is the fourth course in the Genomic Big Data Science Specialization from Johns Hopkins University. 简介: This course examines the community context of the changes needed to promote the public’s health. 简介: This course is about learning the fundamental computing skills necessary for effective data analysis. You will learn to program in R and to use R for reading data, writing functions, making informative graphs, and applying modern statistical methods. 简介: This course introduces participants from the health care sector to gender based violence (GBV), including global epidemiology of GBV, health outcomes, seminal research, policy and ethical guidelines, and clinical best practices for GBV prevention, support and management. 简介: Learn the basic principles for design of randomized clinical trials and how they should be reported. 简介: Learn the basics of creating data products using Shiny, R packages, and interactive graphics. This is the ninth course in the Johns Hopkins Data Science Specialization. 简介: Are you ready for the next inevitable disaster or public health emergency? Whether you're an EMS responder, physician, nurse, social worker, health care student, or other health care provider, you will acquire foundational knowledge in preparedness, management, and response for disasters and large scale public health emergencies in this 6-week course. 简介: Founded in more than 25 years of research, this course will engage students in various forms of cooperative learning including STAD (Student-Teams Achievement-Divisions) which continues to empower students to work together to improve their understanding of mathematics concepts through a collaborative learning approach. 简介: Learn about the ethics and policy issues that arise in the science and application of synthetic biology, from bioremediation to medicine. 简介: Learn the essential exploratory techniques for summarizing data. This is the fourth course in the Johns Hopkins Data Science Course Track. 简介: Learn to use the tools that are available from the Galaxy Project. This is the second course in the Genomic Big Data Science Specialization. 简介: Learn how to gather and clean data from a variety of sources. This is the third course in the Johns Hopkins Data Science Course Track. 简介: This is a nine-week TB Care and Management Course with a focus on TB/HIV Co-Infection. The course is designed for Health Care Workers or Health Professional Students to prepare them to plan and deliver TB care in their communities by applying the latest clinical and research data to their setting. 简介: Learn about the ethical issues that arise when conducting human subjects research, as well as the history that grounds policies and debates in this area of biomedicine. 简介: This course explores why primary health care is central for achieving Health for All. It provides examples of how primary health care has been instrumental in approaching this goal in selected populations and how the principles of primary health care can guide future policies and actions. 简介: The basic biology of modern genomics and the experimental tools used for measurement. This is the first course in the Genomic Big Data Science Specialization. 简介: Learn to assess data from clinical trials by performing systematic reviews and meta-analyses. 简介: Illustrates the principles of public health applied to depressive disorder, including principles of epidemiology, transcultural psychiatry, health services research, and prevention. 简介: This class presents the fundamental probability and statistical concepts used in elementary data analysis. It will be taught at an introductory level for students with junior or senior college-level mathematical training including a working knowledge of calculus. A small amount of linear algebra and programming are useful for the class, but not required. 简介: Learn fundamental concepts in data analysis and statistical inference, focusing on one and two independent samples. 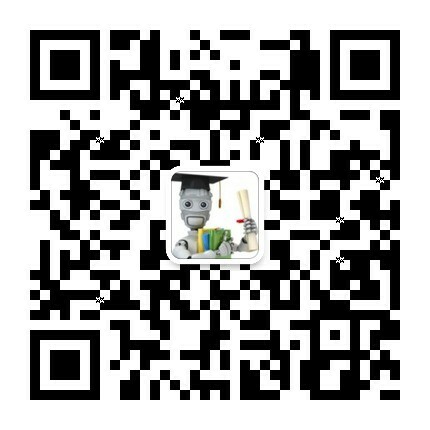 简介: Learn the basic components of building and applying prediction functions with an emphasis on practical applications. This is the eighth course in the Johns Hopkins Data Science Specialization. 简介: The resources available to individuals and society and the prices of goods in the market shape our choices - even about the food we eat and the weight at which we live. This course explores the economic motivation for consumer choice and the economic role of government in markets related to obesity. 简介: Learn to provide psychological first aid to people in an emergency by employing the RAPID model: Reflective listening, Assessment of needs, Prioritization, Intervention, and Disposition. 简介: This class provides an introduction to the Python programming language and the iPython notebook. This is the third course in the Genomic Big Data Science Specialization from Johns Hopkins University. 简介: Learn how to program in R and how to use R for effective data analysis. This is the second course in the Johns Hopkins Data Science Specialization. 简介: Learn how to use regression models, the most important statistical analysis tool in the data scientist's toolkit. This is the seventh course in the Johns Hopkins Data Science Specialization. 简介: Learn the concepts and tools behind reporting modern data analyses in a reproducible manner. This is the fifth course in the Johns Hopkins Data Science Specialization. 简介: Public Health focuses on the health of entire populations, fighting disease on a massive scale. 简介: Explore the intersection of statistics and functional magnetic resonance imaging (fMRI), a non-invasive technique for studying brain activity. 简介: Learn how to draw conclusions about populations or scientific truths from data. This is the sixth course in the Johns Hopkins Data Science Course Track. 简介: A practical and example filled tour of simple and multiple regression techniques (linear, logistic, and Cox PH) for estimation, adjustment and prediction. 简介: A conceptual and interpretive public health approach to some of the most commonly used methods from basic statistics. 简介: An introduction to the statistics behind the most popular genomic data science projects. This is the sixth course in the Genomic Big Data Science Specialization from Johns Hopkins University. 简介: Improve the outcomes in your classroom through practical applications of neuro- and cognitive science research. 简介: Get an overview of the data, questions, and tools that data analysts and data scientists work with. This is the first course in the Johns Hopkins Data Science Specialization. 简介: This course will introduce the basic principles of the science of safety in healthcare. Course content will be of relevance to members of the healthcare delivery team, including nurses, as well as the healthcare consumers in the general public. 简介: Learn how to organize and deliver training and learning programs for volunteer community health workers. 简介: Higher education professionals, new PhD graduates, newly hired university educators and research scientists, and others interested in enhancing their teaching techniques in a university setting will acquire in this six-week course the foundational knowledge of the science of teaching and learning and develop skills and strategies for teaching at the university level. 简介: This course will explore the process of evaluating investigational vaccines in clinical trials including informed consent, recruitment, enrollment, safety evaluation, and quality data collection.